* For help about CAD Data Download, please refer to "CAD Data Download Help"
・If you can't receive E-Mails, etc. 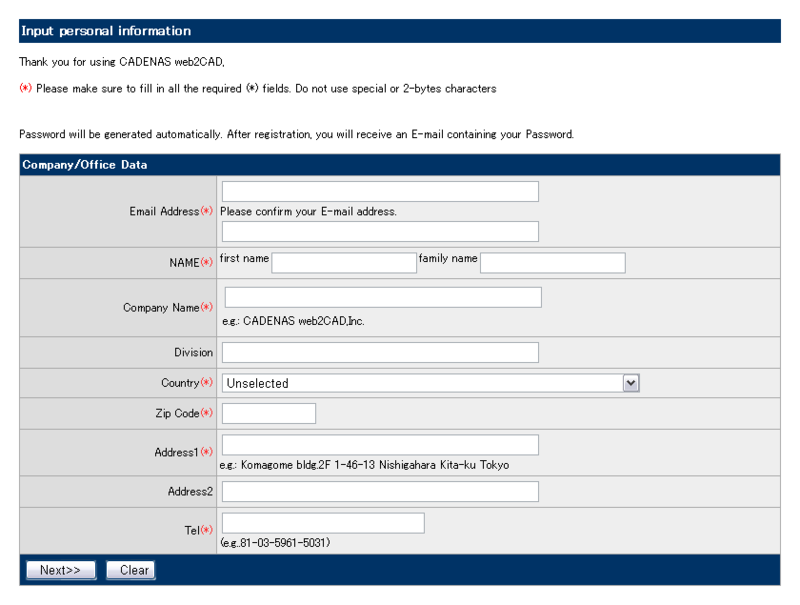 * You can use your existing web2CAD user account if you are already a registered web2CAD user. You don't need to register again to use this service. ・ The password must be a combination of alphanumeric characters, please take note that password is case-sensitive. If you can not login, please check the following. 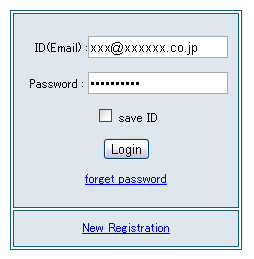 ・ User ID : did you input the same E-Mail you entered at time of registration ? ・ Please take note that passwords are case-sensitive. 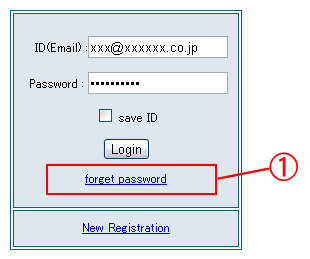 ・ If you have forgotten your password, please click on "Re-generate password". 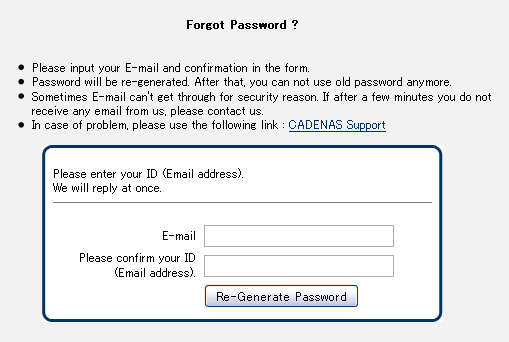 We will send you an E-Mail containing your new password. If you check the "save ID" box, your user ID and password will be kept in memory, so that you won't need to retype them again next time you want to login. Please note that your browser must accept cookies in order to use this feature. In order to re-issue your password, please refer to the following steps. ・ Please take note that if you wish to re-issue your password, your current password will be erased and a new one will be created. ・ Your new password will be sent by E-Mail. (1) Click on "Re-generate password". (2) On the next screen, enter your E-Mail address, then click on "Re-generation". (3) If you see the next screen, the password re-issue completed successfully. In order to create a new user account, please refer to the following steps. (1) Click on "New Registration"
(2) On the next screen, please fill in the fields, then click "Next". 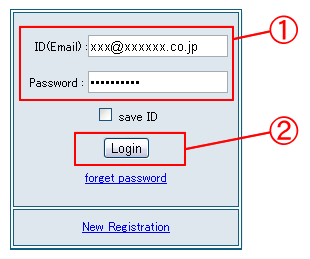 After you complete user registration, we will send your password by E-Mail. 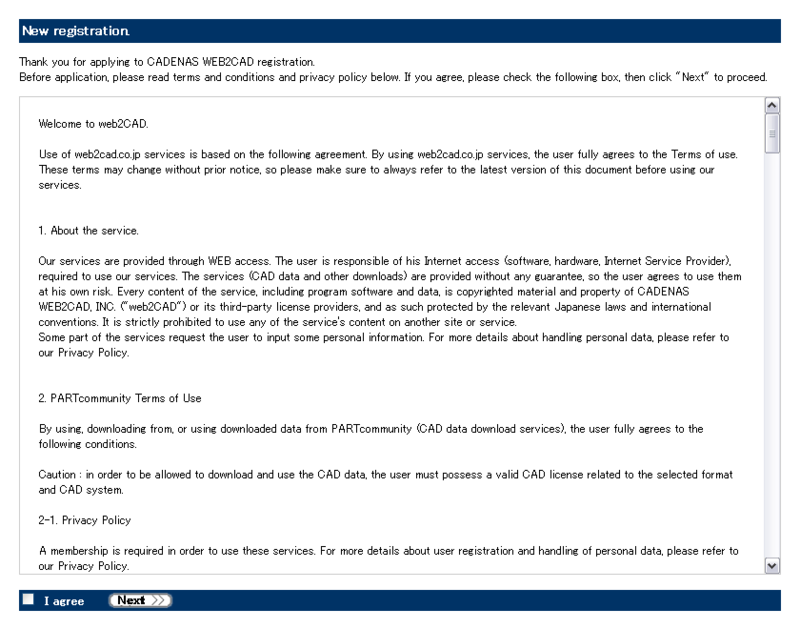 You can contact CADENAS WEB2CAD if you have questions or need assistance. In order to contact us, please use the link below (1).